Bringing together individuals who share a passion for the future of Fair Trade. Defining the practices delivering for the most vulnerable farmers, artisans and their families. Independent academic work promoting all voices. Championing practices and standards that make a difference. Fair Trade, Ethical Business and Corporate Social Responsibility are the subject of thousands of articles, across many disciplines. 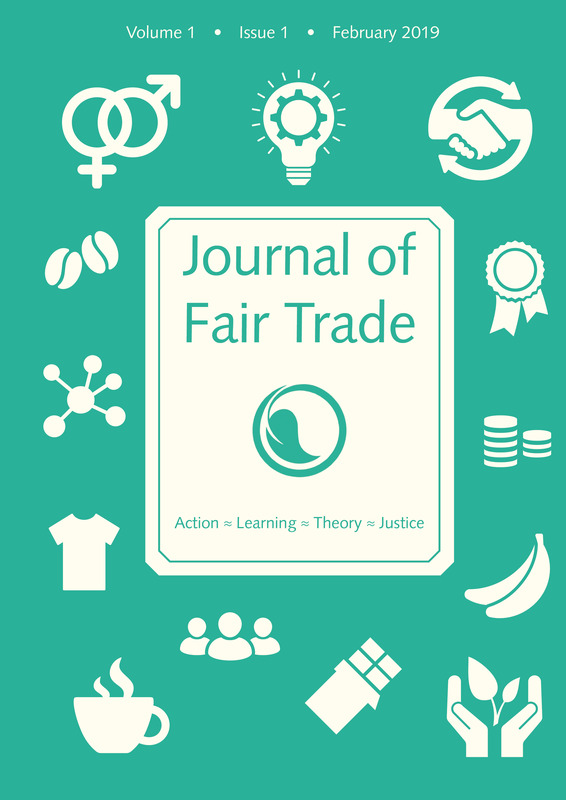 The Journal of Fair Trade aims to be the source of leading research on Fair Trade. The concept of Fair Trade for this Journal includes all efforts to ensure that trade is fair for all, encompassing all types of certification system. We want to encompass the full range of interests and voices that need to be heard on these issues. Fair Trade is at a crossroads. In these times of change in the movement, we won't be afraid to be outspoken, as the goal of the Journal is to catalyse significant improvements in the way all types of trade deliver social and environmental justice. Join us: launch of the Journal of Fair Trade! Your Fair Trade Society donation give support! Read what we are all about in this FREE DOWNLOAD of the Lead Article of Volume 1. Issue 1. "Who Cares About Fair Trade?" Pauline Tiffen, Editor -in-Chief of the Journal of Fair Trade, and a pioneer of the movement, explains the rationale for launching the Fair Trade Society - a worldwide membership organisation which owns the Journal of Fair Trade. She describes the complex but impactful story of the Fair Trade movement so far, while laying out the challenges we face, the relevance of Fair Trade and aspirations we should have for a fairer and environmentally safe global economy. Click here to see details. join as a member of the Fair Trade Society to access all editions of the Journal of Fair Trade and begin the debate in our Fair Trade Forum. Through your generous help the Fair Trade Society aims to provide Sponsored Membership for those unable to afford this and to support for the Journal of Fair Trade and debate among academics, practitioners and those with a passion for rethinking and 'rebooting' of Fair Trade, which seems needed in these times.